A sweep of warm summer color. 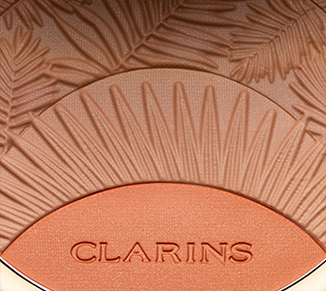 A sunkissed powder that instantly warms the complexion with a healthy glow. 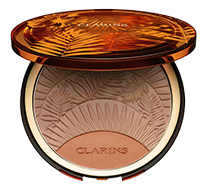 Clarins’ Tropical Splendor Compact warms the complexion with a healthy glow. Creates an even, luminous, natural-looking tan — from sunkissed to très bronzé. 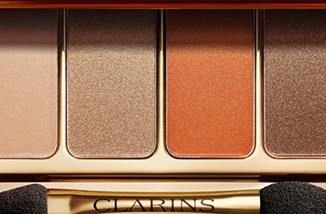 A trio of fresh matte golden shades — plus a pop of radiant apricot — sculpts, contours and defines any skin tone. 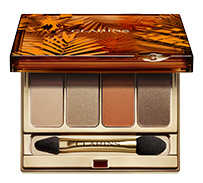 Illuminates eyes with the très soleil new shades of summer. Line, contour and define in two new sunny shades. Intense volume for a full, flirty, magnified lash look. Four sultry shadows — formulated with 100% mineral and pure plant pigments — line, contour and define with the très soleil new shades of summer. Sheer color — intense moisture and shine. 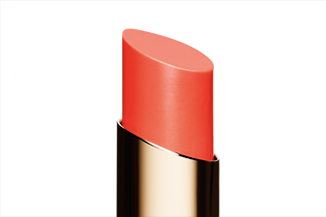 Use year round for soft, sensual, shiny lips. Feels like a balm, shines like a gloss—delivering all the lip-smoothing benefits of Clarins’ hydrating natural botanical extracts.